Google’s Chrome OS is ambitious. Too ambitious. The concept of booting to a web browser is an enticing one, but Google hasn’t pulled it off well enough. Offline support is incomplete at best, the Chrome Web Store pales in comparison to other app stores and Chrome OS is on a collision course with Windows 8. Chrome OS will fail — not by going down in flames, but by being quietly folded into Android. In fact, Android is already absorbing Chrome OS as we speak. R.I.P. Chrome OS; you were too far ahead of your time. People use computers offline. It’s a simple fact, but Google struggles with it. When Chrome OS Use Chrome OS On Unsupported Computers With Chromium OS Lime Use Chrome OS On Unsupported Computers With Chromium OS Lime Like this idea of Chrome OS, but don't want to fork out money for a ChromeBook? Good news! Chromium Lime brings the Chrome OS experience to a huge number of laptops and netbooks, thanks to... Read More was announced, HTML 5 was all the rage. Surely, HTML 5 would bring strong offline support to Chrome OS. It wouldn’t matter where you were, you could still use your computer. June 15, 2011: Chrome OS launches and the first Chromebooks What Is A Chromebook? [MakeUseOf Explains] What Is A Chromebook? [MakeUseOf Explains] Everything is moving towards the web, which is now more commonly being dubbed “the cloud”. As such, your devices should probably be ready and well equipped to make full use of cloud services for your... Read More start shipping out. Can users read their email, look at their calendar or edit documents offline? Nope, not yet. The first stages of offline support were rolled out in August, 2011. Currently, you can view your calendar offline, view recent documents and – drum roll – there’s even offline Gmail! Wait, I thought Gmail worked offline. Oh, that’s right – there’s a special app for offline Gmail. Google bolted offline support onto Gmail’s tablet interface instead of making it work properly with the regular Gmail app. It’s now 2012 and offline support is still incomplete at best. You can’t create new calendar events offline. Google Docs has viewing capability offline, but you can’t create a new document or edit an existing document without an Internet connection. I’m a big Google Docs user and whenever there’s a connection hiccup and I can’t continue writing, I reconsider that choice. Google expects Chrome OS and Android to “converge”. Does that mean Chrome OS is going to run Android apps? It doesn’t look like it. Android is already absorbing Chrome OS. Android 3 brought a Chrome-style browser interface and Chrome bookmark sync to tablets. Soon, Chrome itself will run on Android and you’ll tap a Chrome icon on your Android device to open the default web browser. When Android smartphones and tablets have the full Chrome browser experience, does it really make sense to have a more stripped-down system for notebooks? Google was once considering Chrome OS for tablets, but it’s now betting on Android tablets. Microsoft is dragging Windows into the 21st century with Windows 8 What You Can Expect To See In Windows 8 What You Can Expect To See In Windows 8 No sooner had the dust settled over the bumpy transition from Windows Vista to Windows 7, than Microsoft started fueling interest around its upcoming new operating system, codenamed Windows 8, which is expected to be... Read More . Whether you love the Metro interface or hate it (I’m skeptical about Metro on the desktop), Windows 8 will include native support for first-class HTML 5 apps. Is it any question that Windows 8 will have Metro apps that work offline? Imagine a full-featured Hotmail app that works offline. Or a Microsoft Office suite that synchronizes online with Office web apps and SkyDrive. Dramatic boot speed improvements and an integrated app store will bring many of Chrome OS’s features to Windows. Microsoft’s offering will always have the legacy Windows desktop to lean on, even if it doesn’t have perfect support for web apps. Unless Chrome OS evolves quickly, it will be completely outclassed on its own turf by Windows 8. The Android Market has over 400,000 apps. The Chrome Web Store? Nowhere near that. What’s more, many of them, including Google’s own (which should be flagship apps that show the potential of the platform,) are just bookmarks to websites. Chrome OS is going up against Windows and Mac OS X – desktop operating systems with extensive application libraries. 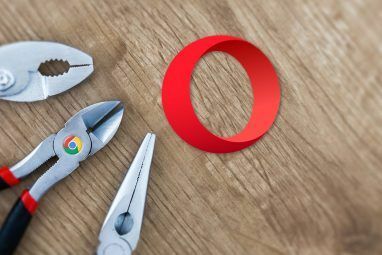 It’s fine as a niche project if you only want a web browser, but it hasn’t proven its own as a legitimate platform yet. The occasional app that uses Chrome’s technology to provide a rich experience is notable because it’s such a rare exception. Windows 8’s fusion of touch and keyboard interfaces provides an example Google will likely follow. We already have Android tablets with apps designed for large screens; just add a keyboard dock and you have a replacement for a Chromebook that also works as a tablet. By the way, it’s already been done — it’s called the ASUS Transformer The 3 Best Android Tablets Available Today That A Buyer Should Check Out The 3 Best Android Tablets Available Today That A Buyer Should Check Out While the iPad was able to jump on the tablet market before anyone else, Android tablets from competitors are starting to flow like water. There’s now a wide variety of options available and many of... Read More . 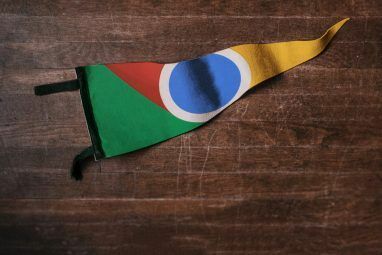 I’m a big Google fan — I use the Chrome browser, Android and a lot of Google’s web apps. I was even intrigued when Chrome OS was announced. But I’m sad to say, it’s just too ahead of its time. So what do you think? Will Chrome OS continue to be a niche product until it’s replaced by Android? Or will I regret this post when we’re all using Chromebooks in 2020? Speak your mind in the comments. Explore more about: Google Chrome, Opinion & Polls. apps are not needed on laptops. apps are needed to allow mobile devices to navigate content that is too difficult to navigate on a tiny mobile deice web browser. this was the big flaw in your prediction and why it was so incorrect. As a owner of three Chromebooks and now a Chromebook I have completely migrated my life over to the cloud and couldn't be happier. I could see how the writer still misses the the old way of doing things but this is the future. I for one can't be happier and have converted my entire family over to a Chromebook. Anyone with a little Linux skills could easly install VLC, Libre Office, Java, Eclipse, Net Beans and other essential applications. You not just limited to what ever is on the cloud, I even have Wine installed along with Office 2007, Photoshop CS4, FruityLoops. However even without all of that I can still be very, very comfortable in a all browser atmosphere. No, a iPad doesn't give you the same experience, in fact I find it to be one of the most limited online systems I have ever seen. I'm coming around to the idea of Chrome OS. The new Chrome OS desktop and Google Drive are missing pieces of the puzzle. More powerful hardware is, too. Google seems to actually be pushing it -- I was expecting them to cancel it, Google Wave-style, after it failed to take hold. Hold on, though -- you mention installing Linux applications, but you can't do that on Chrome OS. You'd have to replace Chrome OS with Linux. If you're using a Ubuntu (or other Linux distro) desktop, you haven't really embraced Chrome OS -- you're just using a Chromebook as a cheap Linux laptop. Kind of shows how ChromeOS isn't really there for many people. The problem remains, though -- Android and iOS have much richer apps than Chrome OS does. Chris - its a good article. I agree Windows 8 will be a problem for Google, and Apple. I think MS's strategy is a pincer action - introduce Windows mobile on the phones and Windows 8 on the desktop/laptop and then target the laptop/tablet hybrid market from both ends. Their special sauce is the strength they will have in the enterprise market, which will introduce a lot of people to their products. I have an Asus Transformer and its a good product but in "mouse" mode using the keyboard it is rubbish - they haven't bothered to introduce proper mouse control - the mouse just controls the low res touch pointer. Its not good and these first interactive experiences can guide out future choices. Google is actually doubling down on Chrome OS and evolving the interface. Google Drive also fills a big hole. So it will be interesting to see if they've managed to fix Chrome OS. Rumor is that Chrome OS will be integrated with Android, so you can have the full Chrome OS environment when docked -- this will give proper support for mice and such. The future will definitely be interesting. I find the above link to be very interesting..."connect with him on Google +". Why not Hotmail or Yahoo or MS Outlook, etc. lol The main reason that I bought a Chromebook was to have a computer that DIDN'T use MS. I love my Chromebook! Well, because I don't want to get spam -- the real question is "why not Facebook?" I don't really like Facebook. Anyway, I actually love the idea of Chrome OS, I just think Google needs a wake up call here -- and they've realized it wasn't working and they're changing a lot. The new Chrome OS has a window manager and taskbar and hopefully more offline capabilities. Even if you want a non-MS computer, a Linux computer with Chrome would be more flexible than Chrome OS at the moment. Chromebooks can be very succesful. I'd buy one but I already have a Dell laptop that works just fine with Chrome installed. Ay, there's the rub. People aren't going to rush out and buy a Chromebook when they can have laptops with Chrome installed for cheaper. So they don't seem to be doing too well in the marketplace. Apparently they're working on a new "Aurora" desktop environment for Chrome OS and maybe integrating it with Android 5.0 Jelly Bean, so we'll see what happens! I do like the idea of Chrome OS. Very true. Chromebooks will have trouble competing with Windows systems that run Chrome at the same price point. Tablet computers are the way forward, Google should just invest money to improve Android software and hardware. Focus more on software,hardware and most of all the price!. Android has a lot of potential and could replace the average users pc even the office in good time. I don't want to see Chrome OS discontinued though, because it actually helps with focus now that I'm using it more and more often. Even though it's just a portal to the biggest time waster known to humanity, it actually helps me get stuff done because of the fact it's only what I need, and Strict Pomodoro locks down everything when the OS is the browser. Interesting use! As we see more rich apps, you're probably going to have more temptation. And there's no reason an Android app couldn't do the same thing -- well, it might require root.. I think it would be sweet to have a dual boot chrome OS and Android on a tablet like the transformer series. In fact, I would love that. Android in tablet mode and Chrome OS in laptop mode -- very interesting idea if Chrome OS actually does take off. I like Chrome OS as a platform, and if nothing else, the Chromium platform is unbelievably fast on my m11x. But Google can't really decide if Chrome OS is the browser to run applications independent of environment, or the lightweight cloud browser for the future. It's trying to be both, and it could, but the cloud isn't quite there yet, and limiting the commercial OS to Chromebooks is not giving it's native client justice. Personally, I really think Chrome OS, right now, needs to look into opening up some sort of hypervisoring over windows, maybe virtualizing the host OS with the native client, or built into thin client monitors as a separate system, but with a bigger, badder computer that can use it for visual passthrough when you need to take the web gloves off. That's a great idea, actually. It's not quite a hypervisor, but lots of laptops are shipping with something called "Splashtop," which is a fast-booting Linux-based environment with not much more than a browser. You can boot into this if you don't want to wait for Windows to boot. Chrome OS could be the fast-booting option instead. But with Windows 8 booting much faster and going straight to a lightweight, webby environment (Metro), is there even a market for this anymore? Seems like almost more of a niche product. The desktop market is a shrinking one. At least if a Chromebox isn't mobile, it will always have Internet access. I still believe in it and for me the question is not if it will fall or succeed, but where and for what. For me chrome books are a excellent solution for giving trainings, schools, companies and others that need a temporary solution.I kind off see them as the thin clients that are easier to manage and require less infrastructure. Lots of people found Google Wave useful for collaboration in certain settings, but Google Wave still failed. Maybe Google's problem is thinking too big. They positioned Google Wave as the reinvention of email and Chrome OS as the reinvention of operating systems. The truth is that each is a tool that works well in certain environments. There's a lot of hate on google on here lately. I love Google. I wrote this in Google Docs, using Google Chrome, with my Android device sitting here next to me. But not all of Google's products are successful. You're thinking like a consumer. Going after the consumer market initially was Google's fumble. The Chromebook is a great concept for business and education. It's like a thin client, but with much better local web browsing - which is 90% of what our students are doing now anyway. It's self-updating and very hard to break. The costs are coming down and the functionality is going up. 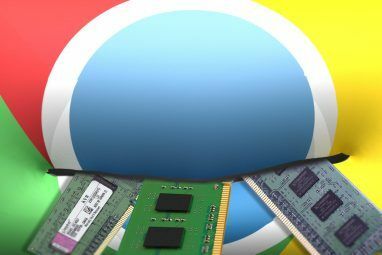 ChromeOS will not be a failure because it fits a big need in certain verticals. You should withhold your opinion until you have an appreciation of the big picture. Google really pushed Chromebooks at the consumer, with advertisements on Google Chrome's new tab page and everything. Google positioned Chrome OS as a consumer OS, so I'm responding to it as one -- Chrome OS does have a lot of enterprise potential, if they handle it properly. I don't follow your logic about Chrome OS and the internet. I don't know about you, but I am never on my computer unless it is connected to the internet. The only time I'm not is when my ISP is down, which is rare. And if they are, there really isn't any purpose to be using my computer. As far as mobile devices, I have 3G. In fact if my ISP is down, I could use 3G. If they would lower the price on their notebooks, much like Amazon did with the Kindle fire, they would be a top seller. Innovation leads to competition, which leads to lower consumer prices. Lowering prices is very important. The Kindle Fire is doing well because it's not competing with other tablets. Chromebooks could do well if they're not competing with other laptops. Ever been on a plane, or in the subway? 3G won't work there. What's more, 3G data costs money -- which is fine and all, but should you really have to pay a cellular company for data if you're editing a document that could be edited locally? They just announced new Chromebooks, so they haven't replaced it yet. The market is speaking loud and clear, though. If you define success by sales of Chromebooks, they've most certainly already have failed. Chromebook sales have been dismal. That's a good point; Chrome OS could feed back into Android as more than just a Web browser. All the more reason for merging them. Chromebooks do have a lot of potential, but Google is fumbling it. I'd love to see Chromebooks be successful. I think this is typical of the approach Google has been following, both as a company and as a source of new (sometimes speculative) ideas. Whatever they do, the idea is to fail fast. That way, they can keep the technologies that work and discard the rest. That's Google's culture, alright. They throw things against the wall and see what sticks. Chrome OS isn't sticking so far. It reminds me of Google Wave: Lots of promise and enormous potential, but it just didn't deliver. I think the biggest problem for ChromeOS is price. It is way too overpriced for what it offers. At most, a Chromebook should cost between $99-$199. The OS itself should be open source and readily available the way Ubuntu is for free public use. This is the only way that the masses will begin to adopt it. Once adoption is being made, development will come. It's just too overpriced for people to take interest in it at this time. But I would consider partitioning my hard drive with it, if it was available for free or cheap download. I might even consider buying a Chromebook for $100. But those really are my limits. As it stands, it will not survive. Google must rethink its strategy. It's true. They're trying to be high-quality machines instead of rock-bottom netbooks, but they probably would be better off having a much cheaper model for people to buy. Hey Chris, Good article! I've had a Chromebook since the pilot program last year, and overall, I love it. That said, there are things you can't do. It definitely won't do everything I need it to do for work (and I'm a heavy user), but it isn't supposed to be a workhorse. The CR-48 is more of a Netbook. But it's difficult just to transfer files from a thumb drive to Google Docs, for example. It will be interesting to me to see how the Chrome OS evolves. Every time there's an update, I want to check out what happened, and it is getting more like Android every day. I have an Android phone, too, so if they can combine the OS for both, that might be awesome for me. Be watching to see how that goes. The limitations are sad. I mean, Chrome OS was announced over two years ago, and we still can't edit documents offline on it. That just screams "not ready for prime time." Or "not thinking many people are offline anymore." Yes, but everyone's offline some of the time. Even if you have a Chromebook with 3G data, what about on the subway? Or on an airplane? I had completely forgotten all about the existence of Chrome OS. Fortunately, the great thing about Google is that they take a shotgun approach to product development: they create a whole bunch of things, throw away the ones that don't work (e.g., Buzz, Wave, Video, etc. ), and polish the ones that do work (e.g., Gmail, Android, etc.). Sure, Chrome OS might fail, but in the end, I think Google still comes out on top. Google throws a lot of stuff at the wall to see if it sticks. Not many companies would have different operating systems that are practically competing with each other. It's obvious which one is winning, at this point. Remember Google TV? Google's now betting on Android on TVs, too. I totally agree, We don't just want to brose the web as we can do that on are tablet or smartphone. Chrome does not look the best either themes can make it look somewhat better but its a bit boring. I Google were to make a new computer OS than make it GoogleOS which has all Google web apps installed. Calender, Gmail Earth/Maps. The default browser can be chrome. Google desktop (sidebar). A good looking UI An app store would be cool. And all offline data will be backed up to Google's servers automatically. This is what I think the Google Desktop/Laptop OS should be like. Sounds like they could do just that with Android. Android has all those apps available (can Chrome OS even run the Google Earth plug-in?). Google Desktop was discontinued, though. Android has widgets that can serve a similar purpose. Sounds like gOS sold with Pcs at Walmart. That's true; I remember hearing about gOS years ago. The funny thing is that gOS PCs were almost more widespread -- I don't think they're selling Chromebooks at Wal Mart, are they? Another discontinue product for google. It looks like Google just announced new Chromebooks, so they're not giving up yet! They have even more competition as Ubuntu try's to get Ubuntu to run off android smartphones. Having a full desktop OS that you can use while at home and then switch to android on the go, seems amazing, especially because it will all fit in the palm of your hand. That's a really cool idea. The rumor is that Google is doing teh same thing with Android 5.0 Jelly Bean -- integrating Chrome OS in for the ability to switch to a full OS when docked or in tablet+keyboard mode.